978-RB-DST is rated 4.8 out of 5 by 74. Rated 5 out of 5 by Carrie from Style, looks great, works great. Bought this last week, Delta is a great faucet, and looks great with my Delta water filter. 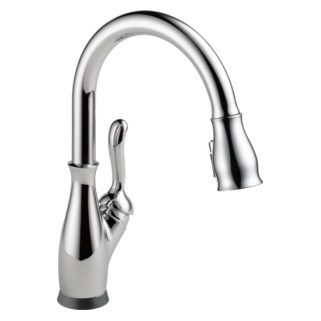 Rated 4 out of 5 by ivymtns from Nice Faucet with Separate Handle Have just installed this faucet and it is working well. One curious thing is that the handle moves very little between hot and cold - almost not at all. This means you need a fine touch to select temps between all-hot and all-cold. However, it doesn't seem to be much of a problem and something we'll definitely get used to pretty quickly. Also, if the spray is selected and then you turn the water off, it will come back on as a spray. My prior faucet didn't do this, when it turned back on it was full-stream. I preferred the full-stream deal, but that's just a personal choice I expect. Appears to be heavy-duty and the finish is very nice. 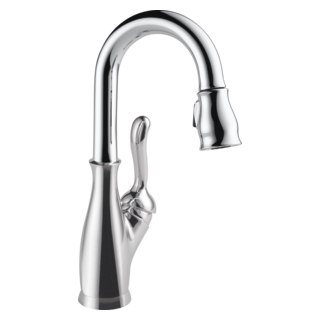 To be perfectly frank, we ordered this because it was pretty much the only one we could find where the handle is not part of the faucet. We have granite counter tops and have 3 holes which were used for faucet, handle and soap dispenser. That's the type of replacement we wanted so we wouldn't have a random hole we had to plug, which totally changes the nice finished look of a granite counter top. Based on my online research, this is a common complaint and concern for people replacing a faucet. I can't imagine why the heck manufacturers don't provide that option anymore. Time will tell if this is a durable item, I have no comments on that at this point. My prior Moen lasted almost 10 years and I'm hoping to get at least that much out of this one. Rated 5 out of 5 by Marion77 from Stylish and practical I bought this facet a couple months ago and love it. I really like the movable sprayer which my old facet did not have. And the finish is much nicer then the shiny chrome. Rated 5 out of 5 by Prairiemom from Workhorse We've had this faucet for over 15 years and have only had to replace the cartridge twice. We even used it again when we got new countertops. This has been a great faucet while raising a family of four kids through teens into adulthood and now grandkids. I found it online again as I'm recommending it to my sister for their replacement. Rated 5 out of 5 by ds48 from Fit and finish of the product is excellent; compliments our granite counter tops; blends in perfectly with our custom made oak cabinets. 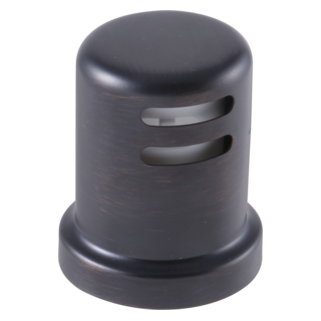 The weight and hand of the product conveys confidence when you use it. 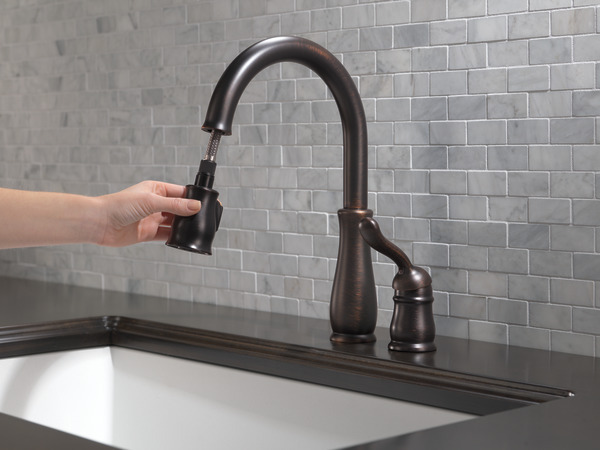 You KNOW that the faucet will turn on and off correctly. 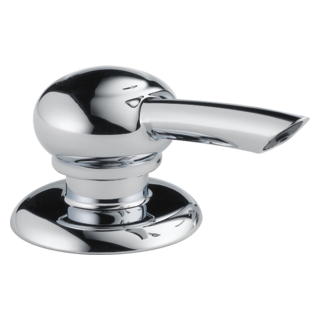 Rated 5 out of 5 by Hambone from Great Faucet,the magnetic docking is a plus +++ Bought this for a replacement for the previous installed Delta (10 years old). Works great! Rated 5 out of 5 by Sue from Very happy with this after having it for over a year. Looks upscale on a budget. Good functionality. I have granite countertops with two existing holes. One hole is only 1.375&quot; dia. Is this large enough for the handle? Water pressure has become low at kitchen faucet. How do we take the sprayer apart to clean it? 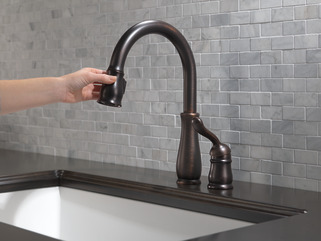 Is it possible to increase the gpm flow rate of this faucet? If so, what part should be ordered? what is difference between 9978 model and 978 model? 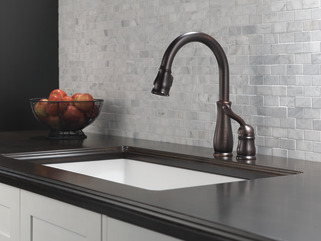 I need the Leland single hand pull down faucet (2 holes) in the brilliant stainless. I've seen both the 978 model as well as 9978...are these different? Hello WWA, Thank you for your question! 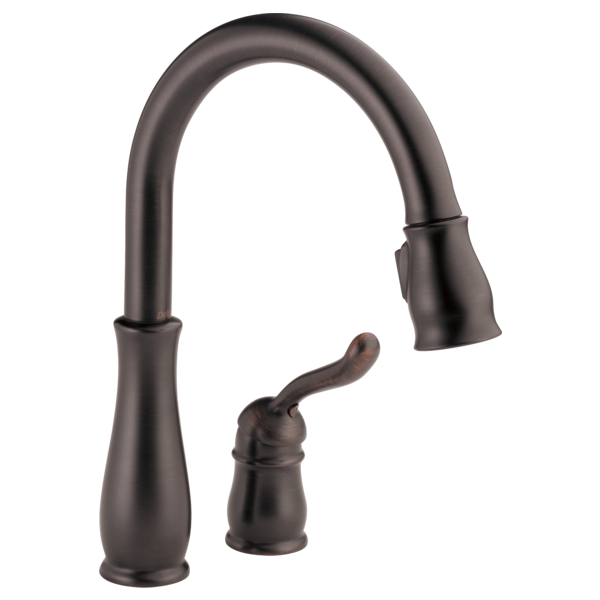 The 9978-DST is a bar/prep faucet generally used in smaller side sinks. As a result, the faucet itself is much smaller than the 978-DST, which is the regular kitchen sink faucet. You can take a look at each faucet's Technical Specifications for further details. I hope this helps! Is it possible to increase GPM? model: Leland 978-RB-DST I saw a response about increasing the GPM from 1.8 to 2.2 but the model # in the response could not be found when I searched for it. The response was RP514780RB, but is it really RP51480RB? Is replacing that part all that is needed? Is there a need to replace the O ring as well? I want to order a new faucet and will have it professionally installed, so want to be sure i order all the necessary parts. Thank you! Thank you for your question. 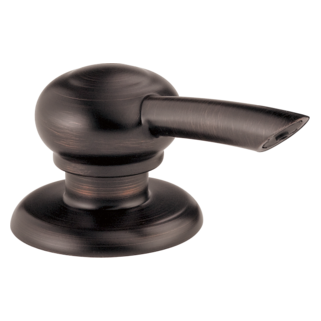 The model number for the 2.2 gpm wand is RP51480RB. You will not need any extra orings to replace this wand. The wands will just need to be switched. The specs say that this needs two four inch center holes. Can it be 5 inch centers? When my granite was installed, the installers put my sprayer and the faucet at 5 inch centers. 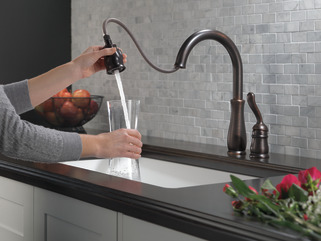 I really like this Leland faucet for my new faucet. I would like to take off the faucet head because it has begun to spray - I assume build up is inside the head. I see the little piece you can push in but it doesn't want to come apart from the hose easily. Is there a trick to take the head off?